Dean Steve Coll and the Alumni Association of the Columbia Journalism School are proud to announce the recipients of the 2019 Alumni Awards. The winners are Elisabeth Bumiller ’79, Washington bureau chief of The New York Times; Ailsa Chang ’08, host of NPR’s All Things Considered; Martin S. Gottlieb ’69, former editor and reporter at several publications including Newsday, The Bergen Record and The New York Times. The J-School is also presenting the First Decade Award to Mariana Atencio ’09, a correspondent for MSNBC and NBC News. Winners are selected by a panel of jurors made up of previous alumni award winners and a representative of the Alumni Board. The 2018 awards will be presented Saturday, April 27, at a luncheon at Low Memorial Library during the Journalism School’s Alumni Weekend. Ailsa Chang ’08 is a host of NPR’s All Things Considered, and she is also a correspondent for Planet Money. 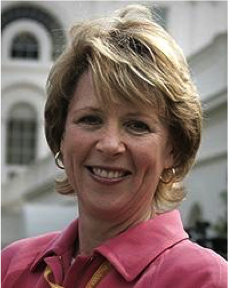 An award-winning journalist, she was a congressional correspondent with NPR's Washington desk. 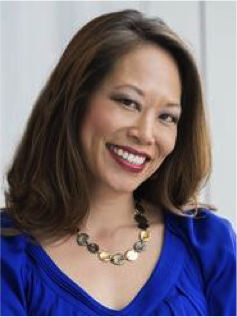 Before joining NPR, Chang was an investigative reporter at WNYC where she focused on criminal justice and legal affairs. In her first career, Chang was a lawyer. After earning her law degree with distinction from Stanford Law School, she served as a law clerk to Judge John T. Noonan, Jr. on the United States Court of Appeals for the 9th Circuit in San Francisco. Martin Gottlieb '69 has been an award-winning reporter and editor at a wide range of newspapers, leading investigative teams and rising to masthead positions at the New York Daily News and The New York Times. At The Times, where he started as a metro reporter, he served as the metro and national projects editor, deputy culture editor, and associate managing editor in charge of the newsroom on weekends. 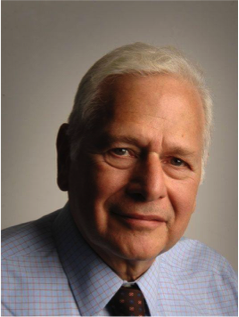 He was the editor of The Village Voice; the Bergen Record during its groundbreaking coverage of Gov. Chris Christie and the George Washington Bridge scandal; and, as The Times global editions editor, the International Herald Tribune. Gottlieb also taught popular classes at the Journalism School for more than 15 years. Capping a five-decade career, he is currently the assistant managing editor for investigations at Newsday. Mariana Atencio ’09 is the 2019 First Decade Award winner chosen among graduates of the last 10 years. She has reported for Spanish-language and English-language media. Currently she is a correspondent for NBC and MSNBC, where she has reported on the separation of families along the border earlier this year, the midterm elections and the 2016 elections. A native of Venezuela, she was also a reporter and anchor for Fusion TV and an investigative reporter at Univision, where she was part of the team that won a Peabody Award for the documentary “Rapido y Furioso” (Fast & Furious), about a controversial U.S.-directed arms program in Mexico.